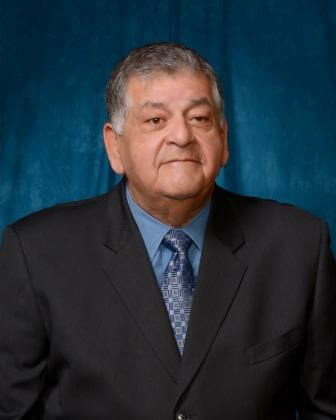 “It is with deep regret that we share the news of the passing of Village of Lyons Trustee Gregory F. Ramirez,” Village President Christopher Getty said. “Greg dedicated his life to public service, not only as a Village Trustee but also as a Chicago Police Officer for 23 years. He was a loving father and grandfather, a dedicated member of our community, and a great friend to many of us in Lyons. Greg Ramirez lived in Lyons for many years. He was a retired Chicago Police detective of 24 years and was an active member of the Chicago Police Department’s Peer Support program. Greg was Founder and President of a security company from 1996-2014. He now owned a security training company that certifies people to work in the security guard industry. Ramirez often said his most enjoyable moments were when he was with his grandson. He is also passionate about helping to mentor youth with various organizations. Greg became actively involved in the Lyons community when he accepted the Treasurer position for the Lyons Retirees in 2013. Greg was instrumental in helping with the CMAP Comprehensive Plan for Lyons, and was then appointed to the Zoning Board of Appeals in 2014. In 2015, Greg was appointed to the Village Board as a Trustee. Trustee Ramirez appreciates the work that Mayor Getty and his fellow board members have accomplished in Lyons and shares their vision for the future. THIS POST HAS BEEN READ 7846 TIMES SO FAR. THANK YOU!